Slow Smoked Ribs, Country Roasted Chicken and Homemade Sides. Trying to feed a hungry crowd on a budget? Call Famous Dave’s. Our true southern flavors and scratch-made sides and desserts will fill up your guests and remind them of home. 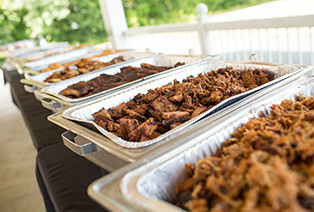 Our North Olmsted catering menu includes Cleveland's favorites, like Hickory Smoked Ribs, Country Roasted Chicken, Texas Beef Brisket, Pulled Chicken and Pork, Hot Link Sausage, plus, comfort foods like mac 'n cheese and banana pudding. We even have lighter fare like crispy salads and vegetarian options. 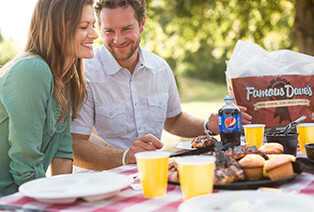 We’ll hook you up with a real down-home barbecue including all the fixin’s, ice cold beverages and the place settings you need to feed your hungry guests. 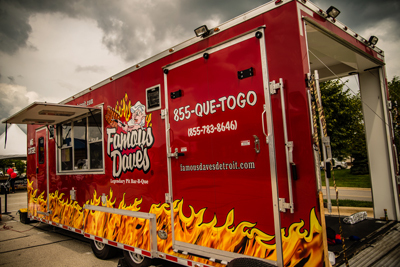 With Famous Dave’s catering near Cleveland, you’ll get a lot of food at a reasonable price- and no one goes hungry! 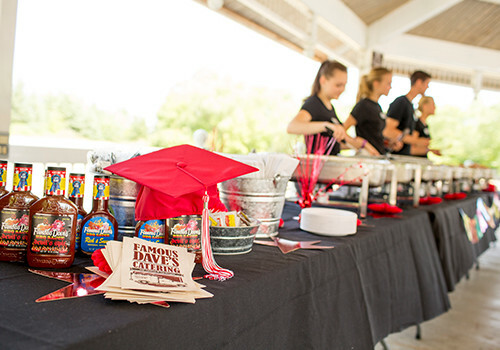 Famous Dave’s loves to cook authentic Southern BBQ and caters events of all sizes, indoors and outdoors. No matter what size party you are hosting, we can provide a true BBQ experience including meats smoked up to 14 hours over real hickory wood, true southern sides and homemade desserts- and keep it within your budget. 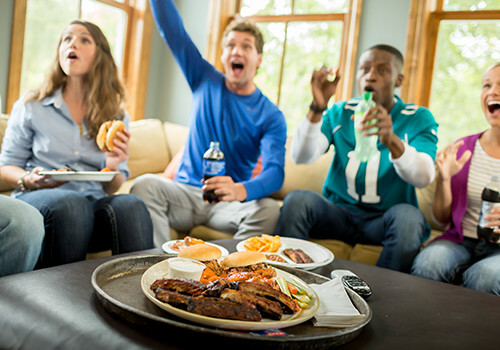 No event is too small or too large for Famous Dave’s in North Olmsted. For parties of 10 or more, we have temperature controlled trucks to deliver your catering in. 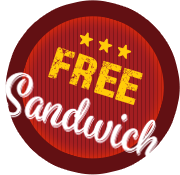 We are happy to drop it off, or, we can stay for full-service buffet style catering and clean-up. If you're planning a large, outdoor event, we can bring our “battlewagon,” featuring an onsite grill and full kitchen to prepare your food and serve it food-truck style. 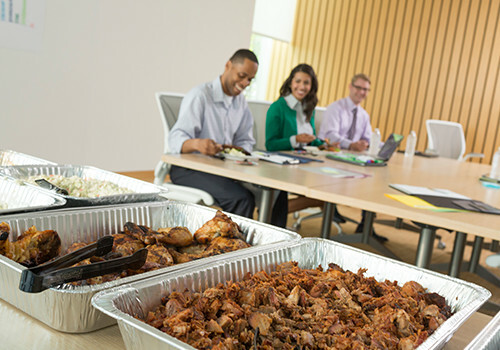 The next time you’re planning a corporate event, business luncheon, training session, wedding, graduation, block party, dinner party, church picnic or other event, give your guests a fun and delicious menu they’ll talk about for months to come. Call Famous Dave’s! What Kinds of Events Are Best For Barbecue? Any Kind! 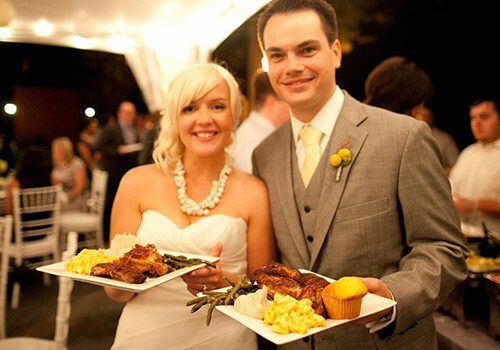 We can't think of one person who doesn't enjoy a delicious freshly prepared BBQ meal. Our award-winning BBQ is suitable fare for any type of event or party- indoors or out! 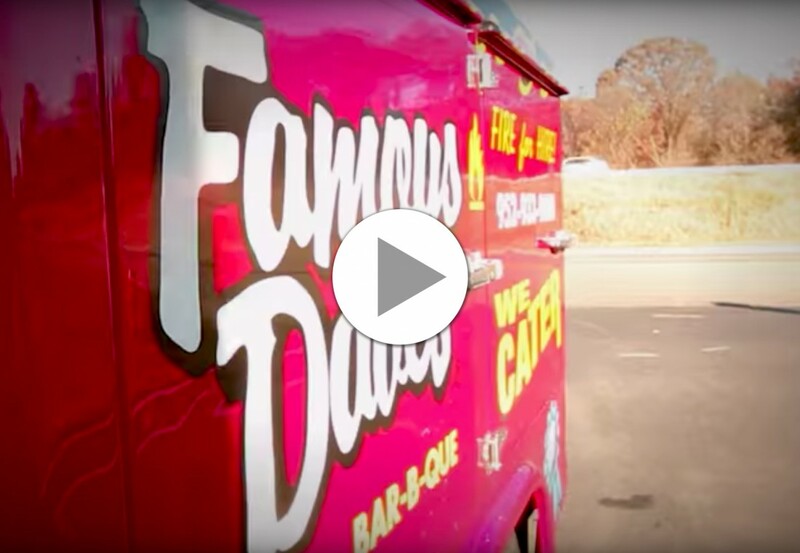 Click on the buttons below to see how catering from Famous Dave’s in North Olmsted can help make feeding your guests fun, affordable and stress-free!